Enjoy a day away from the city on this 9-hour private tour. 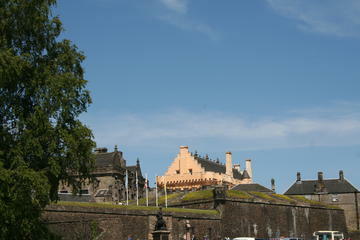 Journey across Central Scotland and the lower Highlands to see such historic sites as Stirling Castle and Doune Castle. Soak up Scotland’s natural beauty with a visit to the lochs and mountains of the Trossachs National Park and to the village of Luss, charmingly set on the banks of Loch Lomond.